In the two months since eBay invited some sellers to participate in its initial launch of “managed payments” that is scheduled to begin this month, eBay has provided additional information about the program, although questions remain. 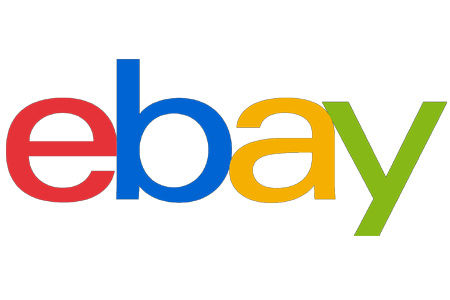 eBay devoted a weekly chat in August to answering questions about eBay Managed Payments. The discussion was led by Vikas Mehta, who was described as leading the rollout of Payments in North America. Right out of the gate, a participant posed a question that demonstrates how good sellers are at anticipating the consequences of eBay changes: “Are you going to brand it with something other than Managed Payments? How are you going to sell it to your shoppers,” the seller asked. eBay may not be branding it or “selling it” to shoppers, but it kicked off a promotion on Thursday in which it gives buyers coupons for paying with debit or credit card “directly on eBay.” But since buyers can’t tell whether entering a credit card number on a listing is powered by PayPal, a merchant’s own credit card processor, or eBay managed payments, we wondered how they could determine which listings they’d be able to use the coupon code. When it comes to seller disbursements, Mehta’s response is akin to Henry Ford’s response to Model T customers when Ford reportedly said, “You can have any color – as long as it’s black.” Mehta said, “sellers will receive funds how they want” – but it became clear during the session that eBay sellers can have their funds any way they want – as long as it’s a bank account and with daily disbursements. In addition, there will be a lag of at least 2 – 4 business days between when the seller pays for shipping and when they receive the disbursement from eBay. That’s a major sticking point for sellers due to cash flow issues. 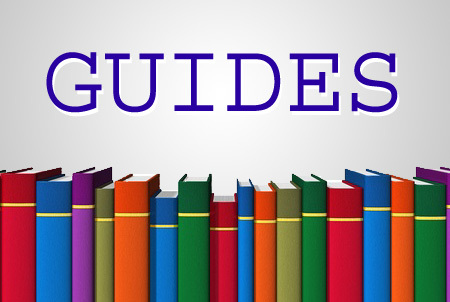 Currently, when a buyer pays for an item using PayPal, the seller has immediate access to those funds, which they can then use to pay for the shipping label – and other expenses, for that matter. That could make more sellers open to the idea of using third-party postage systems. Stamps.com and Endicia, for example, allow sellers to pay for postage using their credit card or ACH, with a $10 minimum postage purchase (prefunding is a requirement). Using a credit card takes off the cash flow pressure while enabling sellers to accrue credit card reward points. In response to concerns about the lag time between having to pay for shipping and receiving payments for an order, Mehta suggested sellers consider getting a loan through Square Capital, with whom eBay conveniently partnered with recently – we’re not sure if eBay gets referral fees or other compensation through the deal. As many readers know from our previous coverage, PayPal will not be a payment method for buyers in the initial launch of managed payments – credit and debit cards and Apple Pay will be the only payment options offered. “Offering PayPal as a form of payment is a top priority for us and will be added by the summer of 2019,” Mehta said. 1) eBay won’t disburse payments to sellers’ PayPal accounts; the only option is to provide eBay with a single bank account for all disbursements. 2) There will be a lag between when the seller must ship and when eBay disburses funds for a transaction. 3) eBay will require sellers to use PayPal to pay for shipping labels. 4) Buyers won’t be able to pay using PayPal until next summer. One seller was concerned that since buyers can’t identify listings that offer managed payments, buyers would become angry at sellers upon discovering they wouldn’t be able to use PayPal to pay for their purchases. It’s not an unreasonable concern given the way eBay has historically mandated the use of PayPal on its site. “I’m having this mental image of a spirited auction ending in a nice high sale, only to have the buyer then discover that the seller doesn’t take PayPal,” the seller wrote. We didn’t see a response from eBay about this particular concern. “We wanted to get the product live and in the hands of our community as soon as possible so we can grow and build the experience together. We realize joining for the September launch might not be suitable for everyone. Each seller needs to judge if signing up is right for them for the initial launch. We don’t have timing on GSP (Global Shipping Program) availability at this point, and GSP remains a key priority. We will continue to improve the experience by including PayPal as a method of payment, GSP inclusion, and better shipping integration post launch. “Sellers in the initial launch have an opportunity to influence how the world sells and gets paid on eBay”. We’ve published additional information about eBay managed payments, including the news that sellers won’t be able to use many third-party tools upon initial launch, which you can find in the Related Stories section below. And be sure to read Thursday’s EcommerceBytes Blog post, which has a screenshot of a listings offering managed payments. Wow. Can you say “Klusterphuck”? What a HUGE mess. NO WAY in the world would i ever allow Ebay to manage ANY money. And THIS model? OMG – please eBay – make it MORE complicated! Oh that’s right – you CAN’T. It’s a total mess now. I don’t even know how to put money for shipping labels into my Paypal account once it runs dry. Is this going to be an ongoing chore? How do you do it and how long does it take? Money won’t be deposited into our paypal but must buy shipping with paypal from money we get? Hmmm. BAD NEWS. How do I handle that from Europe?? I see a lot of transmission costs coming my way.It looks like my business is ending with Ebay. Is it by US law possible that a company can tell you what bank you have to use?? In Europe is ” Conditional Sale ” forbidden by law. Someone in the Ebay management has a personal Vendetta with Paypal. Going to start AGAIN selling on Bonanza. I think the more people that switch over to that site, the more traffic that will gain. That site has such potential. Going to try ArtYah too. Tired of Ebay telling ME how they are going to manage MY funds. This is an illness. They can’t handle what they have now. Waits for CS are 25+ minutes, added an additional 30 days to the 30 Day return policy, won’t send the tracking number when a buyer prints a label for a return, sends multiple MC010 Account Security Communication Partner Warning emails that request I call my police, the buyer’s police and the IC3 (The Internet Crime Complaint Center who partners with the FBI) over a $13.00 sale. The CS rep said it was a form letter and to ignore it. She assured me this would not effect my account (thank you master). But, she couldn’t explain why the form emails were sent out when I had her read the communication and the buyer admits the package will come to her address and is Ok with everything. Had a pair of sneakers returned. They were packaged in double boxes, brand new, pamphlet, sticker, card board in shoes and air cushions. Class A packaging and they were returned by themselves inside a dirty box with garbage. I called in because the buyer had been abusive and the way the sneakers were returned. The EVIL woman told me I should open a Case. I asked if I could do that in the morning so, I could provide additional photos and she said, “Yes”. Within 2 minutes of the ended call she opened a Case and closed it 15 minutes later. SICK. These are the people that would handle my money. Ain’t gonna happen. When this comes to fruition, I AM GONE!! All their lies and manipulation will now stay in-house. TWISTED! Devin- you probably like my Username. You aren’t well. Somehow, the loonies that run ebay have decided that THEY can define THE market. “MODERN market”??? ?…is that anything like 2 people agreeing on a price? Plus, they presume they can define the money flow of that market. ebay…you’re 13% of a market SEGMENT of the WHOLE market. I can never find “arrogance” on ebay…they must buy it all. This is going to be a fiasco! Who in the world thought up how this was going to work, Rube Goldberg? ZZ, it is possible to fund your PayPal account from several different retail stores via the PayPal app on your mobile phone or tablet. The app generates a barcode for the particular retail store you have selected. A clerk at the store scans the barcode, and then asks you how much you wish to add to your account. You tell them the amount you wish to add, and then pay them for it, plus the transaction fee. 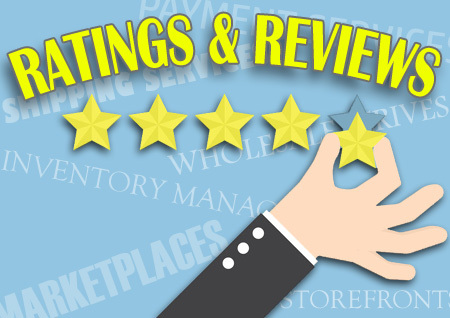 The retail stores you can do this at include Dollar General, CVS Pharmacy, Rite-Aid, Walmart, and many more. There is a $3.95 fee to do this; $3.00 at Wal-Mart. Funds usually show up in your PayPal account within 15 minutes of the transaction. So does that mean when all is said and done PayPal will still be an option for buyers during checkout? That’s what it sounds like to me. If so all of this is for nothing.. the Ebay die hards will only use PayPal if it’s an option and all the crap they are doing is just another waste of time and money. Is eBay even going to give sellers a choice over the payment system? I for one do not want to be involved in their new payment system. I only want to use Paypal because I have immediate access to my money and of course use it to pay for shipping. I don’t want my eBay sales monies going in and out of my bank especially since it’s easier for me to keep track of it in Paypal. 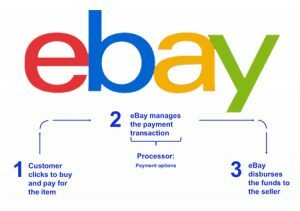 When Ebay takes over as the Payment Intermediary, Wenig has already stated that ALL SELLERS will ONLY be able to process through Ebay and by using a bank account. He has also said that it will be his way or the highway and he will not beg sellers to join the party. Of course this is all dependent on him still having a job at Ebay at that time which if the BOD ever comes to their senses he will not. Paypal will eventually be accepted from buyers, however having 3 years to prepare for this transition was not enough time for Ebay to be ready for the change. of course they have been able to make the addition of Apple Pay happen very quickly so obviously there is much more to this than Ebay is letting anybody know, as usual. The fact that they even admitted they were not ready to accept Paypal scares the hell out of me as that means there is something a lot worse that they are keeping quiet and hoping that giving us this small piece of information will distract us from ever finding out what it is. But I would bet my last penny that its a major flaw that nobody thought about or they have already been hacked because what Ebay released is already much more than they would ever normally release, so this is an attempt at some type of cover-up of something, at least in my opinion. I can’t wait until the issue finally becomes so major that it is discovered by somebody and then the information released while EBay sits there and tries to back pedal and say they had no idea that issue existed, in normal EBay Weasel Speak. I just read all of the “mumbo jumbo” about Managed Payments and my head is still spinning. eBay is a company who has great difficulty managing the most simplest of tasks, yet they feel they possess the competence and expertise to embark upon this exceedingly complicated initiative? Seems like only yesterday when eBay was threatening me with everything just short of bodily harm if I didn’t accept PayPal as the primary payment medium for my eBay business. Now, they have done another “about face” and want nothing to do with them. MARK MY WORDS: THE ROLLOUT OF MANAGED PAYMENTS BY EBAY WILL BE AN UNMITIGATED DISASTER! P.S. – Am I correct in my interpretation that eBay (under Managed Payments) will be holding the S/H portion of payments for 2-4 days (or more) before depositing the funds into the Sellers account? If this is true, then countless Sellers (like me) who were forced to accept 1 day handling time (to maintain their Top Rated Seller status) are now going to be required to ship prior to receiving 100% of the buyers payment?????? ?